Located in the Hawaii region, Honolulu is a town and its area, population and various key information is listed below. For all your administrative procedures, you can go to the city hall Honolulu at the address and times indicated on this page or contact the town hall’s reception by phone or by email depending on your preference or the information available. Honolulu satellite image: Honolulu town from the sky! This 5-star Hawaii resort, located across the street from Waikiki beach, this 100% smoke-free resort boasts 5 restaurants and the Spa Olakino Salon on site. A flat-screen TV is featured in each spacious guest room at the Marriott Waikiki. 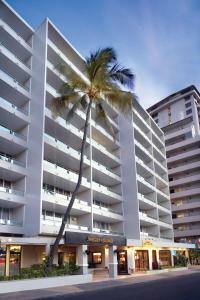 This beach hotel in Honolulu is within a 10-minute walk of the Waikiki Beach. The hotel offers a full-service spa, an outdoor pool and each room features a private balcony. Located on Waikiki Beach Walk, this Honolulu designer aparthotel features modern apartments with floor to ceiling glass panels that open to a private balcony. Three restaurants are featured onsite. Select suites feature ocean views. 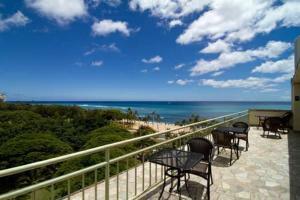 Located just 800 metres from Waikiki Beach, Vacation Rental in Waikiki Grand features an outdoor pool and an on-site restaurant. This self-catering accommodation includes free Wi-Fi. Located on Waikiki Beach overlooking Diamond Head, this historic 5-star resort boasts 3 award-winning restaurants, a live jazz lounge and day spa. A spacious lanai is provided in each guest room.